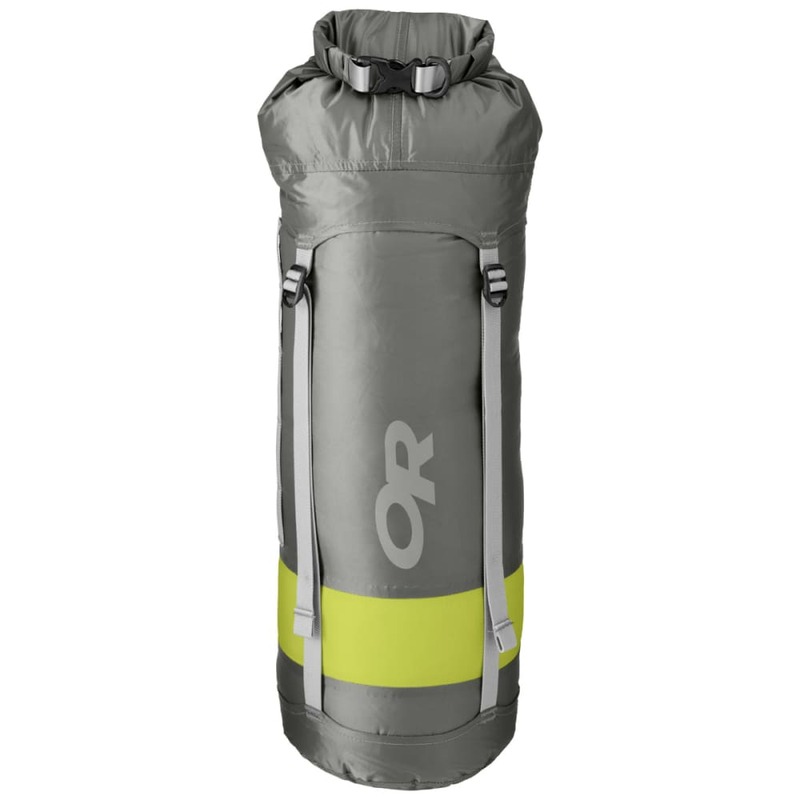 The AirPurge Dry Compression Sack features an air permeable/waterproof fabric band that purges excess air from the sack during compression. Fully taped seams and a roll-top closure provide complete water protection. Dimensions / Rolled: 15L- 242801: 24 in. x 8 in. / 61 cm x 20 cm Volume: 15L- 915 cu. in.